Your furniture has served you well over the years by providing you with a comfortable place to relax, gather with friends and family, hosting super bowl parties and the kids’ slumber parties, or maybe as your pets’ favorite place to sleep. Over time, general soiling, food stains, beverage spills, pet hair and dander will take its toll on even the best maintained upholstery. Perhaps it is time that you return the favor by having Carpet Max clean your favorite sofa or chair. Our upholstery cleaners are trained to identify different fabrics and apply the correct cleaning method to ensure your furniture is restored to its’ original beauty. Kids, pets and daily wear and tear make it difficult to keep furniture looking like it did the day you brought it home from the store, but with a small investment of time into proper furniture maintenance, you can extend the life of your furniture. Regular furniture care goes a long way toward maintaining your furniture between professional cleaning visits. Here are a few furniture cleaning and furniture care tips that everyone can use: Vacuum upholstered furniture with a light brush to remove dust particles, as well as food and dirt that may go unnoticed. This prevents the unwanted dirt and grime from settling into the fibers, which can happen easily if it hides in the cracks and crevices of your furniture. It's this dirt that will cause abrasion to permanently damage your fabric. Rotate any cushions to prevent over-use in certain areas. Refrain from washing cushion covers in the washing machine as this may cause fading, shrinking and fabric deterioration. Keep furniture away from direct sunlight as it could cause fading. Avoid placing items like newspapers on upholstered furniture as they may discolor the fabric. Keep a watchful eye on certain dark-colored blankets and throws that could transfer their color to the fabric on your furniture. Clean and use furniture polish on wood furniture to help protect it from scratches and abrasions. Dust attracts moisture, which can soften the furniture if it accumulates and cause permanent damage. The furniture in your home could easily be one of your biggest investments. Naturally, you’d like to keep it looking good for as long as possible. One of the best ways to accomplish this is to implement a furniture maintenance schedule and have your furniture cleaned on a regular basis. In fact, furniture manufacturers recommend having upholstered furniture cleaned professionally about every 24 months, depending on how often it is used and the dynamics of your home. For instance, a household with children and/or pets will probably require more frequent furniture cleanings than another, less lived-in residences. Regardless of your situation, regular furniture care is the best defense against wear and tear, extending the life of your investment. But the benefits of regular furniture maintenance don’t end there. 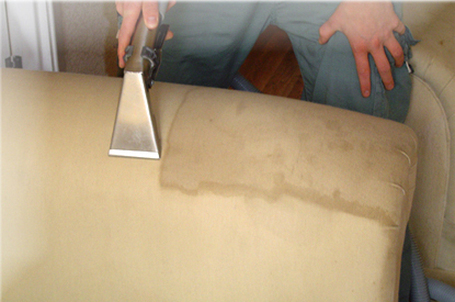 In addition to avoiding long-term damage to the upholstery, cleanings also help to remove potential allergens. These are an obvious health hazard for certain individuals who suffer with allergies—including the people living in your home and any visitors. Fortunately, regular cleanings remove the tiny soil particles from upholstered furniture, helping to eliminate their negative impact on indoor air quality. 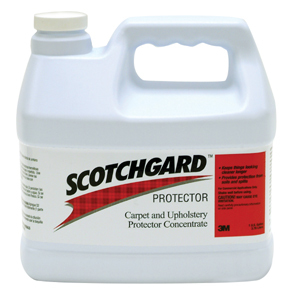 Say goodbye to unwanted dirt, dust and allergens. Remember that there is no substitute for a professional cleaning. In most cases, Carpet Max's hot-water extraction method is the best form of furniture care, providing you with cleaner, fresher-smelling furniture and a healthier living environment. Sure, it’s always a good idea to practice diligent furniture maintenance between professional cleanings, but cleanings are the most effective way to rid your home of unseen pollutants.